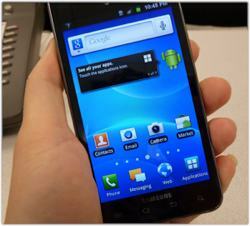 Cellphones may be getting cheaper and more feature rich, but the sizes are getting bigger and bigger. We are at a crossroad in the cellphone world: Do people want their phones to be more like computers, and if so, shouldn’t they be made larger? I feel that cellphones should be the way they are and should not be getting any bigger. (This is an opinion article. Let us know your opinion on the poll at the bottom). Did you notice something odd about this picture? 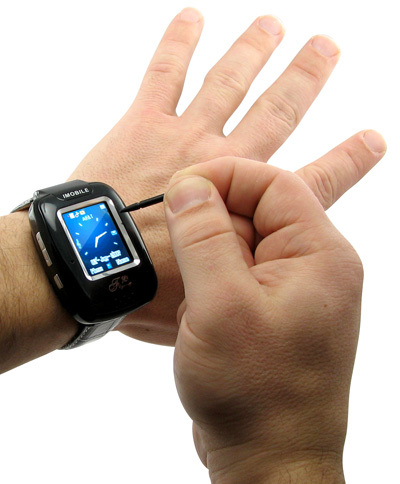 Yes, he’s checking the time on his watch and not his cellphone. Wait, that’s a cellphone? It may appear that cellphones this size are just relics of the past. If you were to follow logic, then you would know that as technology improves, the size of any given technology shrinks. Think about microchips, computers, and even your video games systems are slimming. I was cool before cool was cool. Or something like that. When cells phone first appeared in pop culture of the 80s/90s they were cool. The “it” thing to have (nothing has really changed). 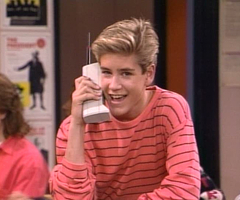 If you grew up in the 80s/90s then you will probably remember the Zack Morris Cell phone. Yeah… this guy. Cellphones represented what was cool and hip in the world. Everyone knew when you were talking on one because it was bigger than your head. If you want to go back further in time, they were even bigger. The first ones had their own carrying case and an antenna a mile long. I remember riding in the back seat of my dad’s car with the antenna going through the moon roof (OK I exaggerated a little). Seriously though, they were even bigger and less portable. Blah Blah Blah. Who cares about the cell phones of yesterday? Well, I do. 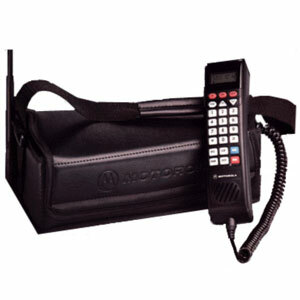 I don’t want to go back to those times where having a cell phone was equal parts burden and equal parts cool. 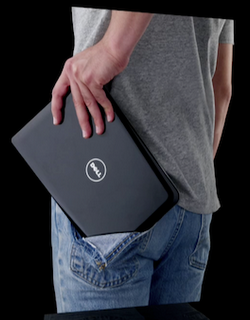 I will admit, having a mini computer in my pocket would have been near impossible 10 years ago. In fact, I can’t live without the ability to access the internet, find directions, or playing video games while waiting for my doctor’s appointment. In fact, yesterday, I may have auto-tuned a worse song than Rebecca Black and I did it all on my phone. But that is beside the point. I’m on the feature bandwagon as much as the next techie, but there has to be a limit. See. We need limits. Seriously, what is the fuss all about? Well, that never happened. I was like everyone else; I wanted features and features I got. I bought an iPhone and took pictures, typed emails, wrote research papers, and listened to my music anywhere and everywhere. It was bliss. I didn’t mind that the phone was bigger than my previous phone. The upgraded features were a perfectly good trade-off for the difference in size. What do they all have in common? They are huge! I already have enough in my pockets including my keys, wallet, loose change, chapstick, and other small items. I hardly have room for a bigger phone. 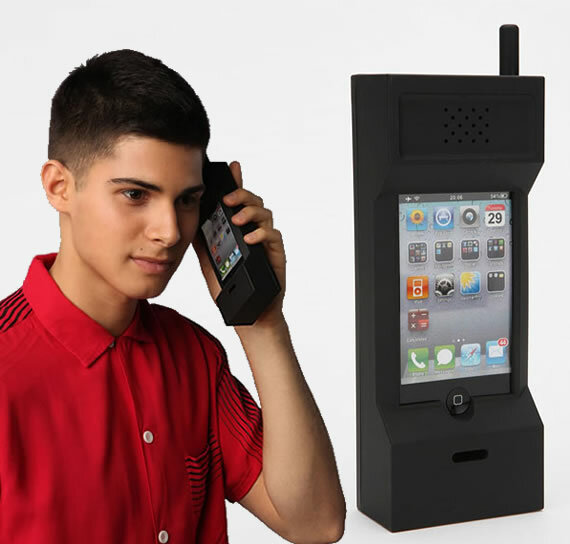 If you haven’t seen the new wave of phones, then you’re in for a treat. Hold your hand out flat with your palm facing you. 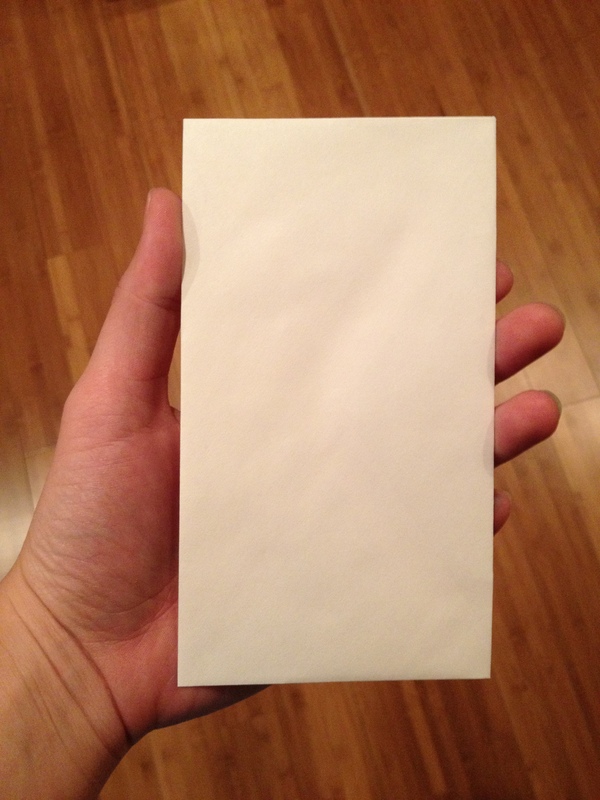 Next grab a small envelope in your hand. The cell phones are like that. Notice a difference? Neither do I. 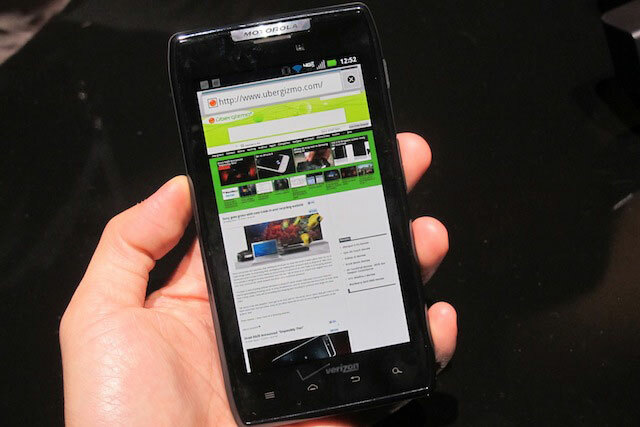 They may be thin, but the size of the screen is getting bigger. I understand this for a couple of reasons. First, the screen is easier to see when it’s bigger for viewing the internet and videos. This will cause less eye strain. The second, as cells phones are increasingly getting more complicated and more features are put on there, they need a larger screen to display all the new information. 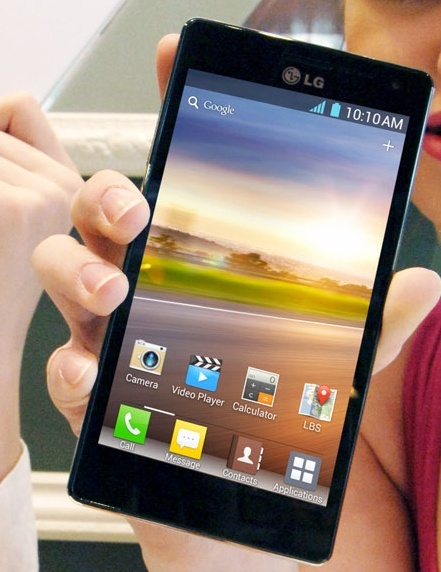 Quickly cell phones are blurring the line between laptops, tablets, and regular phones. I’m not trying to cynical or anything, but I think cells phones are pushing their limits on size. It’s not necessarily a huge issue right now. In fact, I’m OK with the current size of cell phones, but I’m afraid that they are just going to get too big. I just want to be reasonably assured that when I look for phones in the near future, that I’m not confusing the tablet and the cell phone sections. Besides, I’ve found that I’m not very far from a laptop or computer at any given moment. I just don’t need to carry one in my pocket too. Posted on February 27, 2012, in Cellphone, Opinion and tagged Cell phone, cell phones too big, Droid, iPhone, LG, Mobile phone, Motorola Razr, optimus 4x, phone, Razr, Rebecca Black, Samsung SII, Zack Morris. Bookmark the permalink. 1 Comment.